IMAGINE that you and your family have said kaddish all your lives for a relative (or several) who perished in the Holocaust long before you were born. As long as you can remember, you have heard the story of his or her initial escape and eventual murder from the parent or grandparent to whom this ghost was a cherished sibling. Then imagine that through the combined miracles of chance encounters in foreign lands and the Internet, you have just learned that this long-mourned family member actually survived. Half-way around the world you have a cousin who has also been saying kaddish all these years, thinking it is your relative who was killed. Based on the family history you and your cousin have known all your lives, you both know that the other can’t possibly exist. Now you have some idea of the shock that the descendants of Reb Benzion and Elka Chanowitz, including Chany Scheiner of Boulder, have been experiencing lately. IN 1941, 16-year-old Gershon Chanowitz was a yeshiva bocher in Vilna, Poland, some distance from Gluboka, the tiny village of 5,000 where he was born. When the war started and he learned of a possible escape route, he went immediately to his parents to ask their blessing not only to try to get out himself, but to take with him his 12-year-old brother Yisroel, his 22-year-old brother Shmuel Avraham whose chronic illness had left him with severely impaired eyesight, and his 28-year-old sister Fruma. The plan, which cooler heads decried as suicidal, depended on him adding Yisroel to his own passport and obtaining visas signed by Chiune Sugihara, Japans Consul General to Lithuania, who signed the papers that saved the lives of some 6,000 Eastern European Jews. Once the paperwork was done, they would have to enter Russia (which most Jews were trying to get out of), and take the trans-Siberian railroad to Vladivostok, from where they would go on to Kobe, Japan, and then Shanghai, China, from where they would be able to go anywhere that was taking Jews. Perhaps only a 16-year-old would have the chutzpah to make himself responsible not only for his own safe travel through this Rube-Goldbergian escape route, but for the lives of three of his siblings as well. And perhaps that youthful confidence is what ultimately saved all their lives. Gershon, Yisroel, Shmuel, and Fruma made it to Shanghai where, sadly, Shmuel succumbed to his chronically poor health  there is some question as to whether it was typhoid or tuberculosis that finally got him, but he died a free man and was buried in the Jewish cemetery in Shanghai before his siblings headed for America. ANOTHER brother, Chaim (25), escaped on his own and found them in the US, where everyone married and had children and mourned the loss of their parents, their brothers Girs (12), Tzvi (13) and Eliezer (14), and their sister Asna Mera (19). Like many survivors, they and then their children regularly searched the available records and asked anyone they came across in their travels (as a largely Chabad family, they traveled a lot and lived in many places) if they had any information on those they knew were dead. Yisroel even made several trips back to Gluboka after the dissolution of the Soviet Union, searching for any information about the fates of his parents and siblings. And multiple family members stopped at the Diaspora Museum and Yad Vashem during visits to Israel. Nothing was ever discovered and the family continued saying kaddish for them all. By 2013, Gershon was the only member of that generation still alive, and when he died that summer at 92, he was comfortable with the knowledge that he had rescued as much of his family as possible, and that this remnant had honored the memories of those he was unable to save. For survivors and their families, this game has an undertone of urgency that goes beyond mere curiosity  maybe someone out there knows someone who knows something about a loved one? Maybe we can find out how Zaidy really died, or when our ancestral home town was liquidated? That same hope led Solomon (Sashe) Bomgintz, living in Israel, to mention at a Purim party, as he had done so many times before, that his mother lost her entire family in the Holocaust, and did anyone know of any Chanowitzes, anywhere? This time, however, the answer was different. Someone said he knew of some Chabad emissaries by that name, but didn’t remember where they lived. Thinking that he might track down some distant relatives, Sashe took that morsel of information to Google and eventually found Rabbi Moishe Chanowitz, the Chabad emissary to St. Martin, and sent him an email saying he was looking for information about his mothers family. He apologized for his poor English and explained that his mother was born in Gluboka and her family name was Chanowitz. But her parents and eight siblings had perished in the Holocaust. Moishe, who is one of Gershon and Leahs sons, was intrigued but wary — lots of crazy stuff comes over the Internet and besides, he had a complete understanding of his family’s history and knew all his relatives. He responded anyway — you never know — and asked questions about this strangers mothers family. His family had come from the same town after all. The return email sent shockwaves through his extended family whose reverberations have not yet ceased. Sashe sent details about his mother’s family which corresponded exactly to the information Moishe knew about his fathers family — except in his version, the sister Asna Mera survived! OVER the past century, Gluboka has been under the control of Lithuania, Russia, Poland, and Belarus (which governs it now, as Gluboykoye). In the early 1900s, when the Chanowitz siblings were being born, it was part of Poland. Reb Chanowitz was a shochet (ritual slaughterer) like his father and grandfather before him, and one of a long line of respected Chabad rabbis. They lived at Lagyonanaya Street 14 and got along with their neighbors, both Jewish and gentile. In July of 1941, shortly after Gershon and company had begun their trek through Siberia, the Germans marched into their little town, forcing all the Jews into a small ghetto. The following June, the community learned that the ghetto was to be liquidated, the understood meaning of which was that it would be divided into two groups, one of which would be sent to the camps while the other would be executed. The new information came in the next email from Sashe, which was written in Russian-inflected Hebrew and translated by members of the Chanowitz family. According to him, during the year before the liquidation of the ghetto, when things were bad but they still seemed somehow temporary or survivable, Reb Chanowitz gave a gentile friend with whom he had done business some valuables for safekeeping. Among them were a warm jacket (whether it was down or leather remains uncertain), a pair of silver candlesticks, and a valuable ring that belonged to his wife. He trusted his friend to keep these items safe so that when this was all over, he would have a small something with which to begin to rebuild. On June 18 or 19, 1942, Reb Chanowitz and his family were in the small ghetto  the one slated for execution. The family barricaded the door and hid within their home, knowing the Nazis would search the entire ghetto, but hoping they could somehow be passed over. Once they were secreted away, they heard a frantic pounding on their front door. Was it the Nazis? Or was it, as Sashe’s mother feared, a fellow Jew seeking shelter? Despite her family’s pleas to be still, she could not stand the thought that someone was out there seeking safety, so she went downstairs and opened the door not to a fellow Jew but to a group of Lithuanian soldiers. She was taken, and the rest of the familys hiding places quickly discovered. Their gentile neighbors helped the soldiers round up the Jews of Glubokoe for transport to a nearby soccer field where they were to be shot and dumped into a mass grave. This transport was one of the things that the American Chanowitzes had heard eyewitness reports about. It was one of the ways they knew their family had perished. What they didnt know, because the witnesses left alive hadnt see it, was that just before the transport drove off, a commander chose several of the prettiest girls to bring to his soldiers. One of those girls was the beautiful Asna Mera. At one point, either that day or the next, Asna Mera was in the company of a soldier who had a large knife fastened to his belt. She grabbed it and stabbed him to death, before running off to hide in the forest. Unbeknownst to her at the time, the army took revenge for the killing of this soldier by selecting 150 of the Jews who were left in the town and executing them. In the woods, Asna Mera discovered Gires, who, being small and swift, had managed to slip away as the others were loaded onto the trucks and had also headed for the forest. Together they survived there on whatever grew wild until winter when the brutal cold killed off their small sources of food and made staying out with no protection from the elements impossible. At some point, one of them remembered their fathers friend, only 10 kilometers away in Shovinsky. He had their fathers warm coat, which they could share, and perhaps he would give them a little food to sustain them on their way to who knew where. After all, they must have reasoned, father had always trusted him. But life in the forest had made them cautious, so they decided one of them would go first. Depending on the reception, the other would follow. Gires knocked on the door and it opened. While his sister watched from the safety of the woods, the farmer grabbed her baby brother, bound him with rope, and handed him over to the Nazis in exchange for a 10 kg bag of flour  that years version of 30 pieces of silver. Twelve-year-old Gires was hanged in the square that afternoon, as a warning to any other Jews who might be lurking about. Now Asna Mera knew she was utterly alone in the world. But she was not without resources. She found a band of Russian partisans and tended the wounded. After the war, she became a nurse and was sent to work in a military hospital in Dobromisli, a small town near Leuszena. During that time, Asna Mera did her best to maintain the traditions with which shed been raised. In 1962 she met someone who knew someone who made a shidduch (marriage match) with the director of another hospital, a widower with a 17-year-old daughter. Marrying Mr. Bomgintz made her an instant mother, and she went on to have two sons of her own, Benzion and Solomon/Sashe. It seemed as though things were finally coming together. She had a family again, and a happy home in the Belarusian city of Vitebsk. From the Soviet Union she was not able to do much research, but she knew her family had perished, so she said kaddish and, while it was not easy to be a Jew in the Soviet Union, she raised her children in a way she imagined would make her parents proud. In the early ’80s, it was no surprise when her older son was drafted into the Russian army  she knew that all young men had to serve. However, she was surely unprepared for what happened next. In 1985, Simeon was on a train with his fellow soldiers. There was an argument about something. Several anti-Semitic colleagues ganged up on the Jew  throwing him from the train. His legs were severed and he bled to death on the tracks. No charges were ever brought against his killers. In 1992, Sashe made aliyah to the only place he could think of where a Jew was safe to live as a Jew. While Asna Mera visited her beloved son and eventually her two cherished grandsons, and, on one trip filed death certificates for her parents and siblings at Yad Vashem, her home was with her husband. By 2007 Asna Mera and her husband had been spending their winters with his daughter in the town of Miasis. This year, they decided to stay there permanently. In October, Asna Mera died suddenly and her husband followed her in December. DESPITE searching their whole lives, including several trips to Poland and in-person and online searches of the Museum of the Diaspora and Yad Vashem, none of Asna Meras siblings ever had the faintest glimmer of hope that shed survived. After all, there were those eye-witness reports that shed been on that transport to the blood-soaked soccer field with the rest of their family. The first thing people seem to say when they hear this story is that it is so sad that Yisroel, Fruma, Gershon and Chaim never knew their sister had survived, but, as they had each other, it is even sadder that Asna Mera died certain that she was the only member of her family who survived. Gershon’s widow said he would have been ecstatic to have found her. She added that she was sure that Gershon and Asna Mera had met in heaven and orchestrated the whole thing. Gershon and his siblings all married and each had children, grandchildren, and great-grandchildren before they died. Leah said they had wonderful, big, nice, warm, caring families, and that her heart bleeds when she thinks of Asna Mera not knowing they even existed. While she never met her sister-in-law, Leah recently wrote to her new nephew about how much she admired Asna Mera. Like Leah and the rest of the far-flung extended Chanowitz family, he has been obsessively checking his email since that first communiqué, eager to see what new developments would be revealed each day. He and his family can’t stop talking about it to friends and family, “but mostly to our children. We are looking at each picture, trying to learn from them what the Bumgintz family went through. 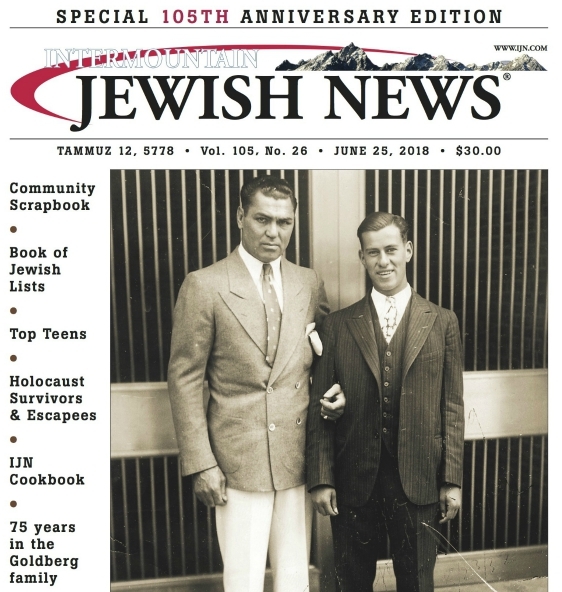 “We feel bad that Asna and her siblings arent alive to see the family reunite and to shep nachas from their sister who lived all her life isolated from Jews, [yet] built a Jewish family that is connected to Torah and mitzvos. It was Benzion and Babshi Chanowitz, Yisroel’s son and daughter-in-law, who had the honor of being the first members of the American Chanowitz family to tell him that in person. They went to Israel during Passover and sent back pictures of the meeting. Emails continue to fly around the world as the story travels from cousin to cousin to friend to friend-of-friend and beyond, warming hearts and restoring hope with every forward. IT’S never too late, as this story shows. Chezky said, “Never give up! Lots of convincing evidence is circumstantial. And people make mistakes, and misremember things. He mentioned little Gires who, according to the new information, escaped the trip to the soccer field only to be captured later and hung. However, according to the eyewitness accounts the family had previously based their understanding on, he was shot and fell to the ground, said Chezky. “No one will ever know for sure.